Your preschooler won’t even realise that she’s working on her counting skills in this ball toss game. Good for indoor and outdoor play, the pieces are lightweight and can be found in almost any household. Our version has a patriotic twist that makes it perfect for the 4th of July or Memorial Day. 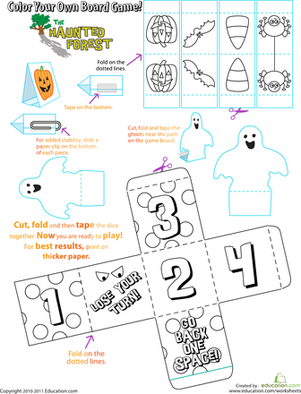 Have your child cut the construction paper in half, and roll it around a cup. Have a piece of tape ready for her to tape down the sides. Repeat this with the two other cups, in different colors. Use a marker to write “10”, “5” and “1” on each of the cups. 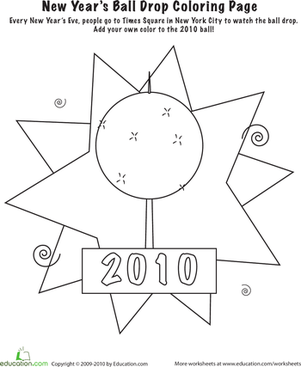 These represent the number of points she will earn when a ball lands in the cup. Line the cups up behind one another, in order of lowest to highest amount of points. 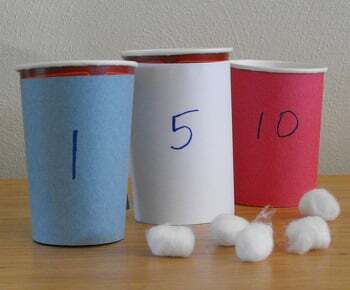 To play the game, take turns tossing the cotton balls into the cups. Add the points together after each person’s turn. The player with the most points at the end wins! On a breezy day, swap your cotton balls for pennies so they don’t fly away! 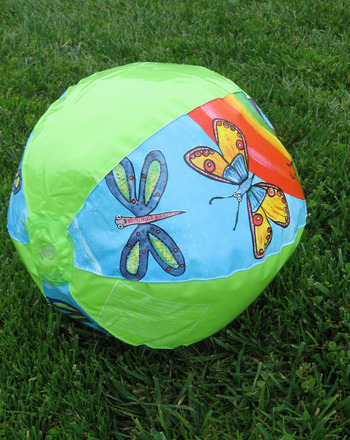 This printable beach ball game is great indoor, or outdoor, entertainment for your kids. 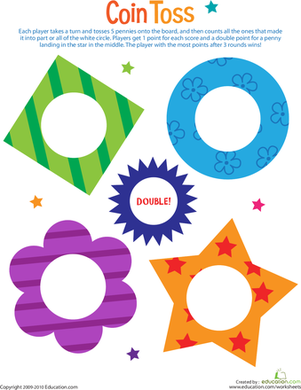 In this fun printable board game, kids toss pennies onto the board, aiming for the white circles inside the shapes. This beach ball game is a great activity for kids of all ages to develop coordination and teamwork.